Spofforth Castle is less than 1/2 an hour away from us and a site that I regularly say we should get around to seeing. We finally got there one afternoon, multi-tasking our visit as Sloan's "adventure" (what we call her exercising/walks) between my errands and Paul's work Christmas party. 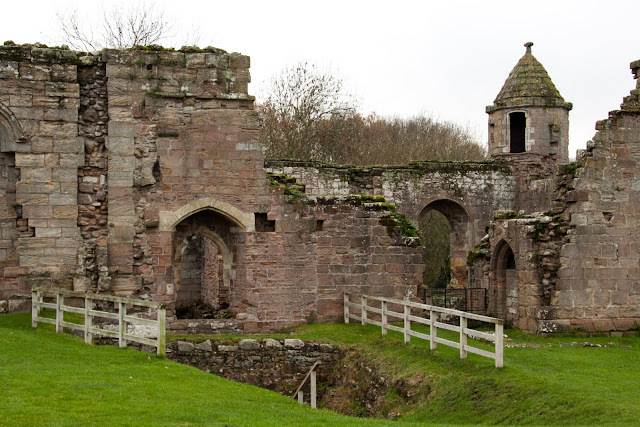 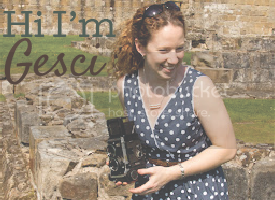 Spofforth is administered by English Heritage, to which we have a membership, but it actually is a free site. 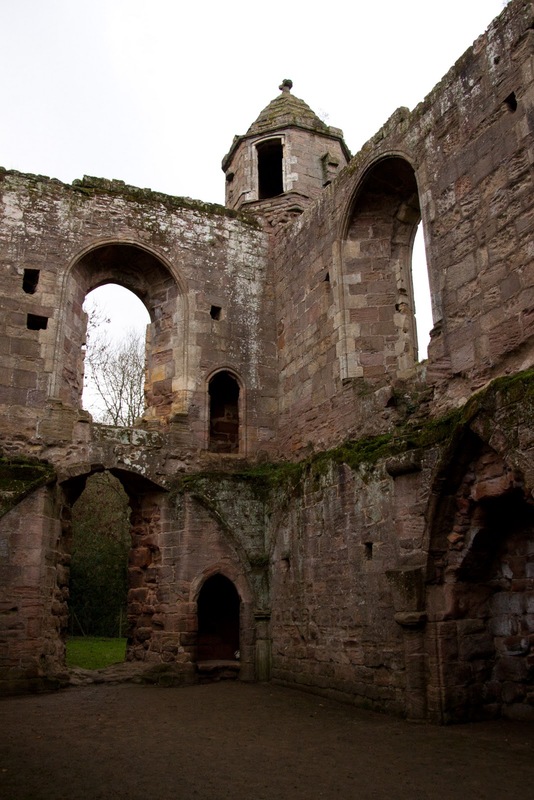 The castle ruins sit in the village of Spofforth in a pleasant green space. 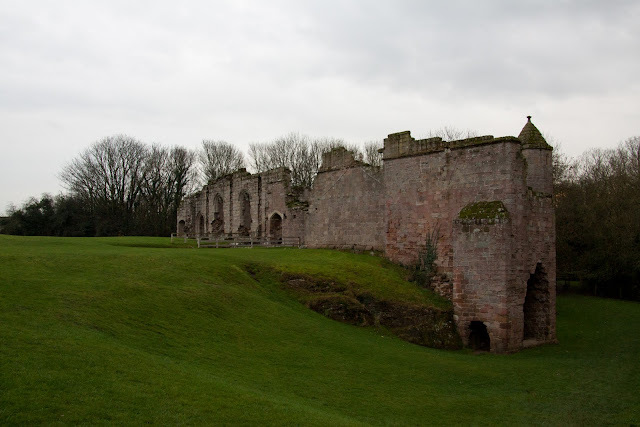 The castle was built by the Percy family between the 13th-15th centuries, and was a casualty of the civil war in the mid-1600s. 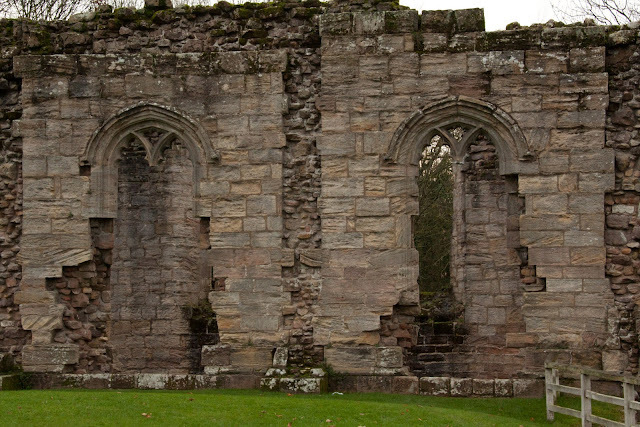 The castle site is surrounded by village homes. What a view! 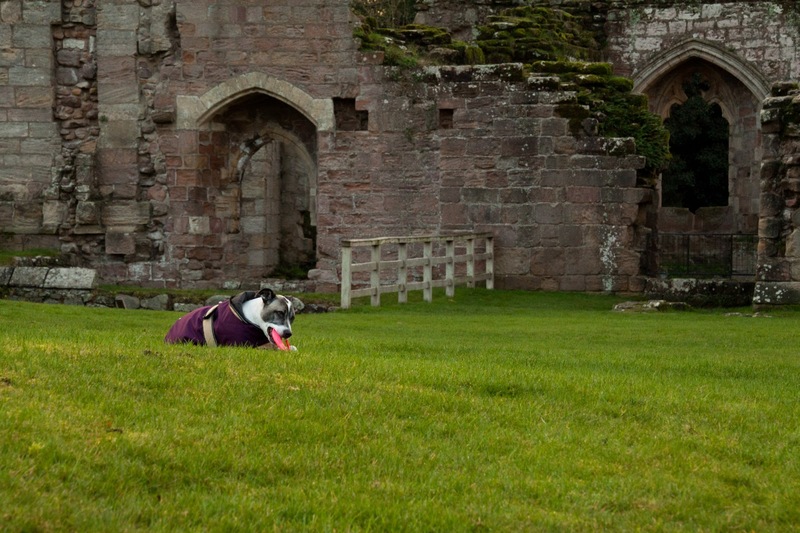 Sloan says Spofforth Castle is a top notch outing!